NOBODY should be surprised by warm smiles, firm handshakes and an agreement to freeze the trade war when President Trump and President Xi meet on 30 November. Equally possible is that when the two leaders meet at the G20 Summit in Argentina no deal will be done and the trade war will accelerate. Such is the uncertainty that seems to surround the US/China trade relationship right now. “Seems” is a key word here. Even if the trade war is frozen, with no new tariffs introduced over the next few months, what appears clear to me is that the differences between the US and China are deep and go beyond just trade. This gives petrochemicals and other companies a strong degree of certainty. US Vice President Mike Pence further underlined this painful reality at the weekend in comments made during the APEC meeting in Papua New Guinea. This followed last November’s decision by the US, in its revised National Security Strategy, to for the first time categorise China as a geopolitical adversary. His words at the weekend added to the tone of his speech in early October when he said that previous US presidents had been misled into thinking of China as a partner, when, in fact, it had been an opponent ever since the Korean War in the 1950s. Repeated claims that China was stealing intellectual property and was unfairly forcing foreign investors to transfer technology when they invested in China. Said that whilst progress could be made at the G20 meeting, “The US will not change course until China changes its ways,” and there was room to introduce new tariffs. Made a play for trade and geopolitical partners when he said, “Know that the US offers a better option. We don’t drown our partners in a sea of debt, we don’t coerce or compromise your independence … We don’t offer a constricting belt or a one way road.” This appears to be a criticism of China’s Belt and Road Initiative. On the issue of China’s growing militarisation of the disputed South China Sea said that the US would partner Australia on the upgrading of the Lombrum naval base on Manus Island. Let’s deal with these points one by one by one in detail. Point 1: The US, along with demanding better Chinese IP protection and the end of technology transfer, has also laid down another precondition for resolving its trade dispute with China: China must stop state subsides of manufacturing. There are of course legitimate concerns about China’s IP protection and technology transfer. These are shared by many countries. 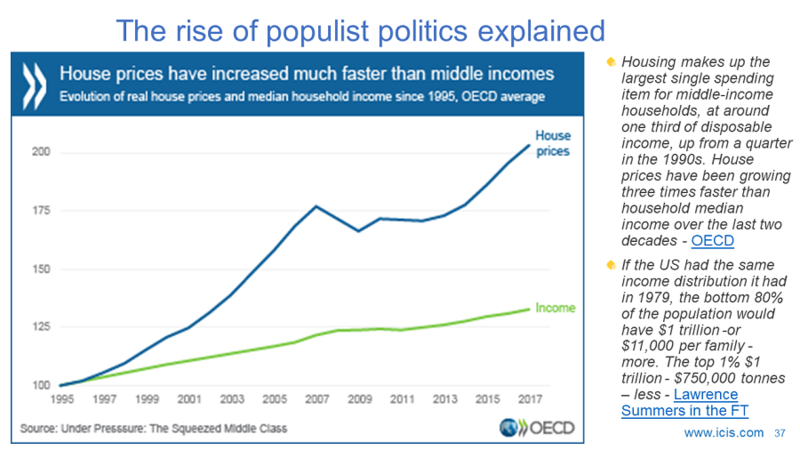 But China is in an economic, social and political race against time. The loss of 400m babies as a result of the One Child Policy means it has to move up the manufacturing value chain at a very rapid rate, otherwise it will not have the tax revenues to pay for soaring healthcare and pensions costs as its population ages. China’s economic growth will stall if it cannot replace the loss of low value manufacturing resulting from higher labour costs with a sufficient quantity and quality of higher value manufacturing. You can understand US concerns about the loss of its high technology edge. 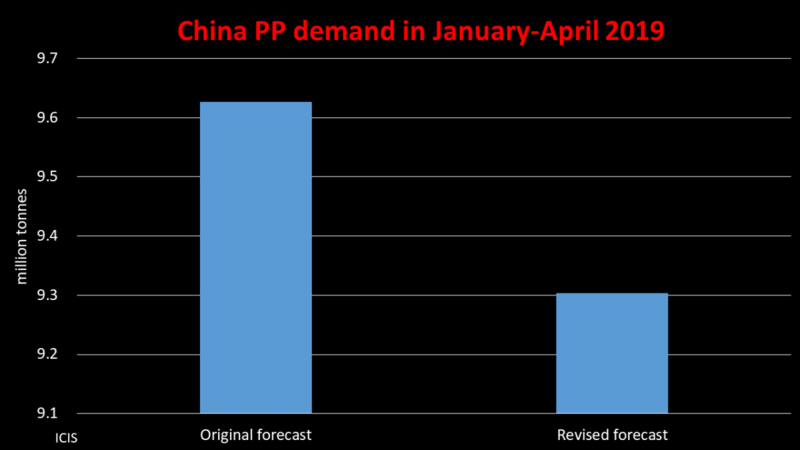 But asking China to abandon its economic growth model at a time like this seems to be an impossible demand. Point 2: The trade war, as I said, could be frozen by Presidents Trump and Xi when they meet in Argentina. 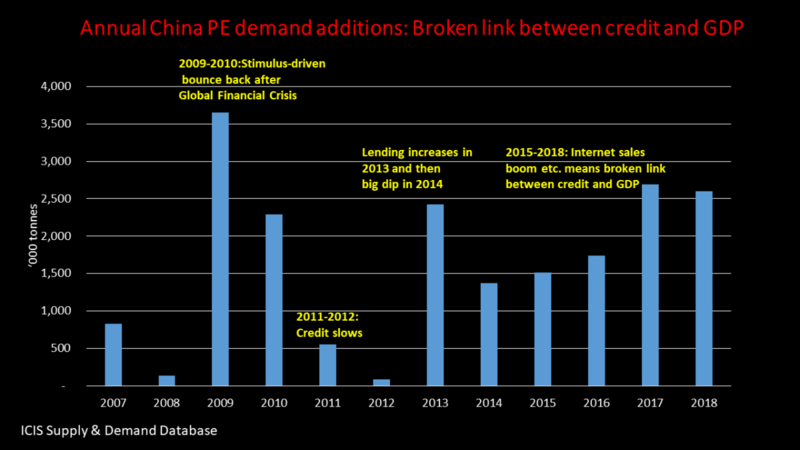 This would deliver a boost to global stock markets. But existing tariffs may stay in place. Mr Pence’s comments also suggest that the US will hold in reserve the warning of further tariffs if China doesn’t change direction. The risk will likely remain that all Chinese exports to the US will end up covered by tariffs. Meanwhile, as the US exports far less to China than China exports to the US, China could retaliate by making it harder for US companies to operate in China. 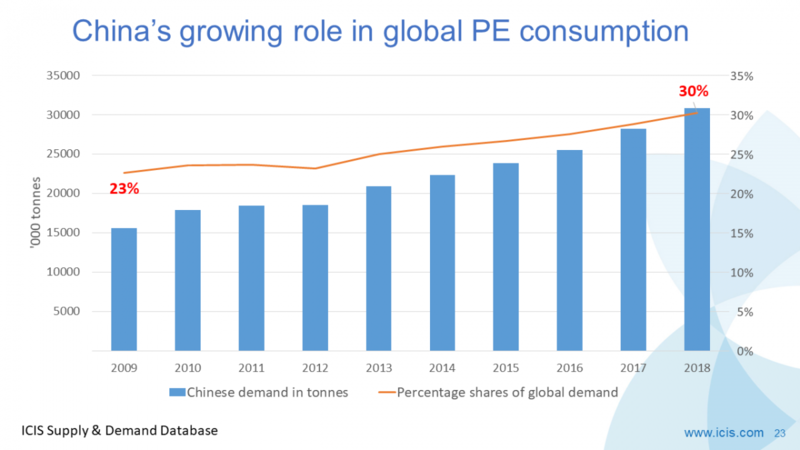 From petrochemicals to smartphones and fast food, China is by the far most important market in the world, both in terms of volume and growth. What would the economic prospects of Apple look like if it loses its ability to outsource manufacturing to China? Point 3: This underlines the argument I’ve been making for more than a year that the world could split into two rival trading and geopolitical blocs. One would be led by China and the other by the US. These blocs won’t necessarily be rigid – countries might change sides. Some countries will try and straddle both sides of the fence because of the difficulty in choosing between the US’s military umbrella and technological edge versus China’s growing economic and geopolitical strength. Nobody of course wants a war and history doesn’t always repeat itself. But a military clash between the US and China cannot be ruled out. Dealing with just Points 1-3, as Point 4 is too hard quantify, the implications for petrochemicals are as follows. Points 1-2 tell us that existing tariffs could to stay in place, whatever the outcome of the G20 meeting on 3 November. So prepare for the chart at the beginning of this blog post. 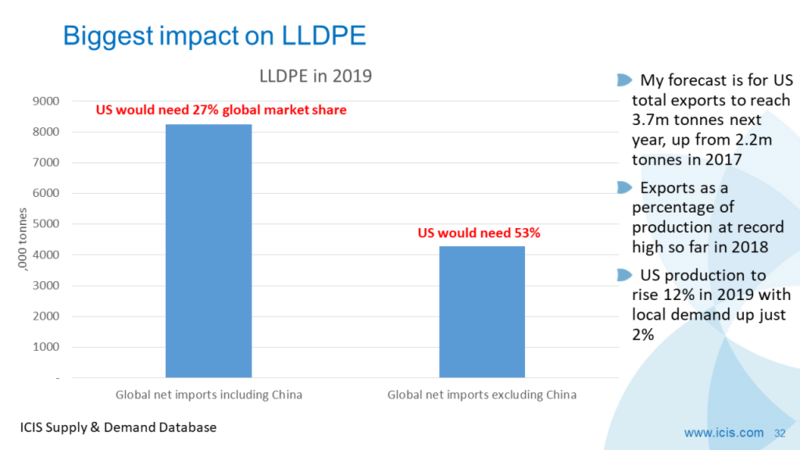 Here we see the market share that the US would need to achieve in remaining global net imports if it cannot export any volumes of LLDPE to China in 2019. US exports to China have been the subject of 25% tariffs since August. These tariffs cover 93% of the grades of LLDPE that the US ships to China. 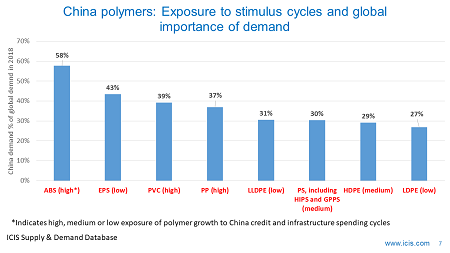 But a scenario to consider is that traders will avoid all US cargoes of LLDPE even if US producers decide to absorb the 25% tariffs. This may be for patriotic reasons or because of the risk of tariff escalation. Would the US in such circumstances cut back on production? I think that production would be maintained as a.) Margins would still remain OK, and b.) 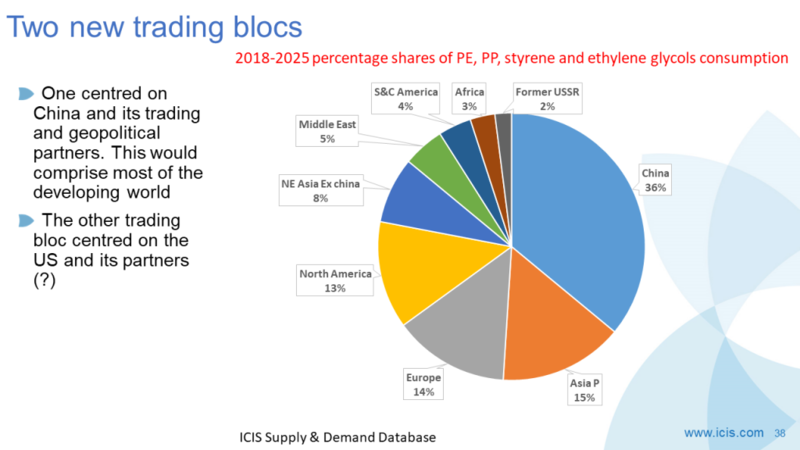 Some US PE producers are integrated upstream into natural gas production, with steam cracking the only market for surplus ethane. Ethane has to be extracted from methane before methane can be placed in pipelines. PE plants would as a result have to run hard, regardless of market conditions. 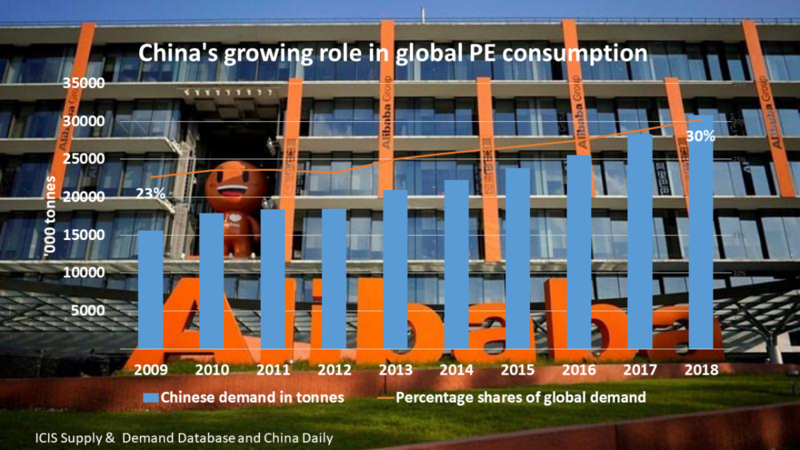 The pressure on Europe and other LLDPE import markets ex-China would in this outcome be very significant. 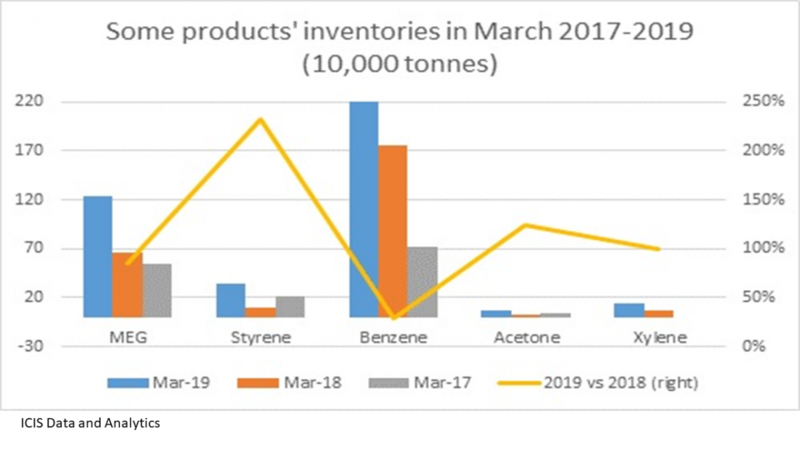 Naphtha-based producers would face a fall in margins. This might eventually lead to call for trade protection. Point 3 is covered by the above chart. 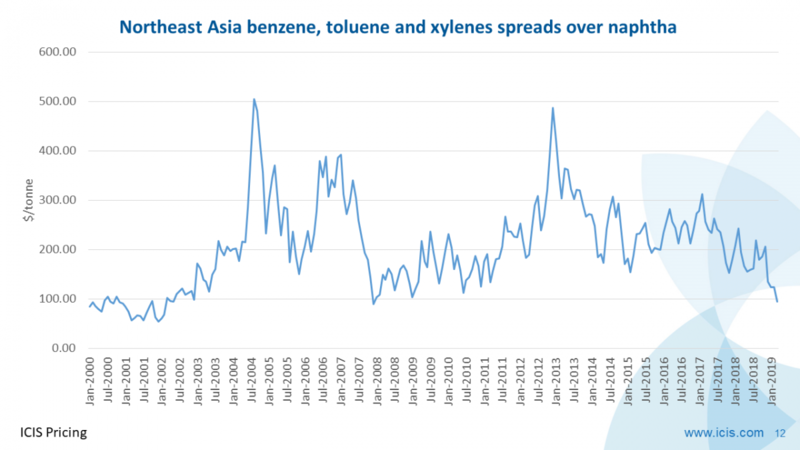 Over the last ten years petrochemicals demand, both in volume and growth terms, has become dominated by developing economies, with China by far the most important developing economy. Small businesses are thriving in the US thanks to last year’s tax cuts and the tariffs that are bringing manufacturing back to the US. This may continue. But for a petchems business so dependent on growth in developing markets – and especially growth in China – the outlook for US companies might be different if in the long term is loses access to China.